BornPrettyStore . Challenge . Essie . 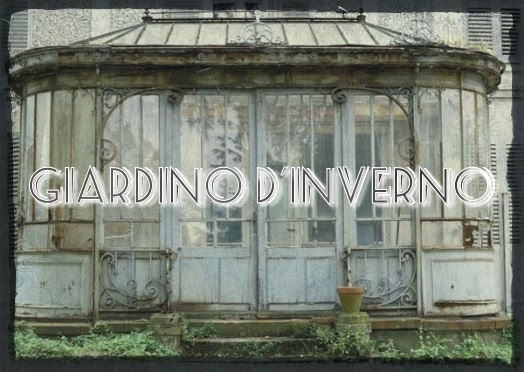 Giardino d'inverno . Glitter . Lilac . Manhattan . Matte . Nail Art . Nail Polish . Purple . For this mani I used a rather particular nail polish. This is Manhattan #10C, which is clear base loaded with lilac shimmer, which gives the impression of being a lilac base in certain angles, with magenta and purple roung glitter (here you can see a glossy swatch by Christine layered over a gorgeous purple). Formula and consistency are quite good, except for the slow drying time. Once dried it has a satiny finish, which I think is due to the lilac shimmer. I applied three coats of Manhattan 10C (without "undies") and waited for it to dry. Then using a black nail art pen I draw the lines for the butterfly wings on my middle and ring fingernails and added some thinner lines and tiny silver dots using a nail polish liner. I finally added a coat of Essie matte about you to give a total matte look to the manicure. I quite like the final result, I think while the butterfly is Spring inspiring, the colours used have the "cold" feeling the Winter garden would suggest. What do you think about it? Oh, this is absolutely gorgeous - love it!! Oh my, this is really pretty incredible, what a gorgeous design! And it's executed to perfection. Beautiful manicure -- I love the mixed purples in Manhattan #10C. Your freehand work is stunning! This looks awesome! I love butterflies! When I tried this nail art it came out hideous, I love freehanding but something went totally wrong.. But, I really must try it again, it looks so stunning! Gorgeous manicure, Nati! I love everything about this from the colours you chose to the design. Very unique to see a butterfly manicure that's matte, I really like it! Le ali di farfalla sono meravigliose! Sei stata davvero brava! Mi piace molto! Che brava a fare i bordi a mano!!! Quel glitterino credevo che fosse uno dei Floam di Ninja Polish!